Michael Stoy Pottery features the hand crafted pottery of Mike Stoy. 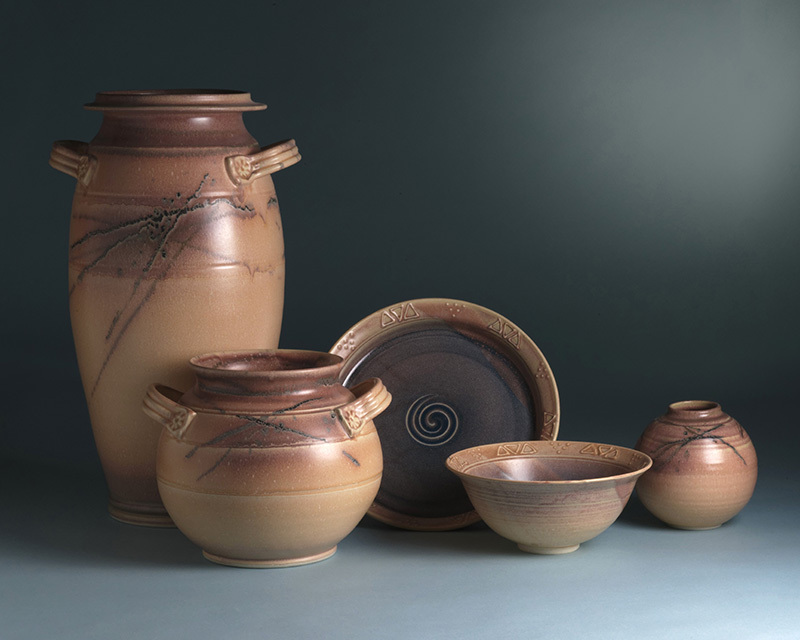 Working from his studio in Placitas, New Mexico, Mike creates a wide range of wheel thrown, decorative and functional pots in stoneware and porcelain. Pottery Group. Wheel thrown cone 6 stoneware. 21″ tall. Mike Stoy has been throwing pottery since 1992 and selling his work since 1993. After a three year hiatus while he and his wife moved from Seattle and built a new custom home in Placitas, New Mexico Mike is once again throwing pots in his new studio. 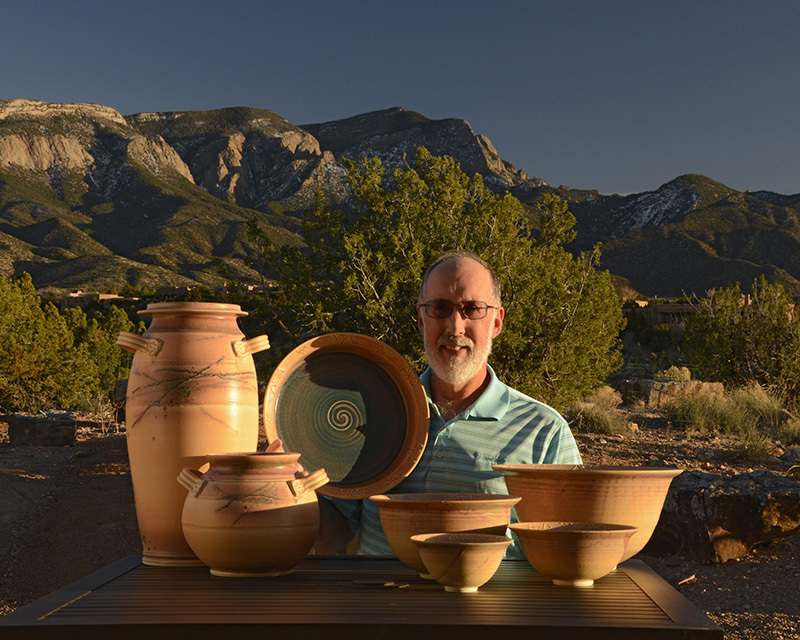 Mike Stoy with some of his recent pots on the back patio of his house in Placitas, New Mexico. All graphics, photos, and text on this web site are © Michael Stoy and may not be used for any commercial purpose without the prior written permission of the copyright holder.